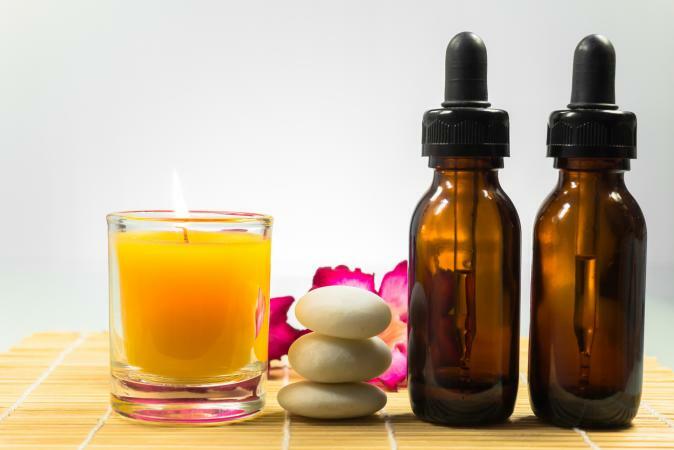 Fragrance oils are used to add a scent to candles and can make a single candle - or an entire house - smell enticing, and there are so many choices on the market, that you can change your environment every day from floral to spicy to nature's scents. The best ones for candle making are highly concentrated fragrance oils. Those oils have not been diluted, the fragrances are long lasting and, unlike cheap fragrance oils, give strong and consistent scents the entire time a candle is lit. Concentrated fragrance oils can be purchased from candle supply stores and shops specializing in home fragrance. When using concentrated fragrance oils in candle making, it is important to check with the manufacturer's instructions for any special information, including the proportion of fragrance oil that is to be used with your chosen wax blend. Nature's Garden has an extensive supply of soap and candle making supplies, including concentrated fragrance oils. They do wholesale and retail sales, and stock several hundred fragrances. Prices start at $2.50 or so and up. The Flaming Candle offers concentrated fragrance oils, beginning at $5. They also offer samplers based on styles of fragrance. Many of their oils are phthalate-free. 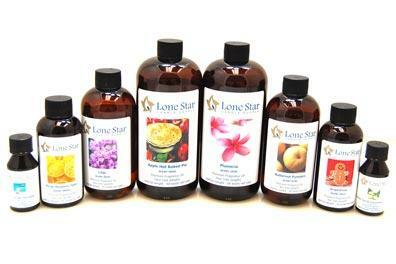 Lone Star Candle Supply makes "100% liquid concentrated oils" in over 300 scents. Find the usual selection of botanical, seasonal, and food/drink scents, along with name brand imitations. Pricing starts around $2 an ounce. Rustic Escentuals has fragrance oils, along with instructions on how to measure and use the oils. Prices start around $3/ounce. You can shop by the fragrance or by category (such as values or those appropriate for gel candles). Fragrance oils each have their own special aroma characteristics. While fragrance oils can be used on their own in candles and other home fragrance items, they can also be blended to create new and unique scents with your personal trademark. Blending fragrances is a surprisingly challenging technique as different scents and fragrances combine in different ways. But while blending fragrances may be a little difficult to start with, you will soon discover your own recipes for blends that you can recreate time and time again. Among the basic fragrance categories are sweet, fruity, floral, fresh, holiday, and masculine. Store oils in a dark place, away from direct sunlight. This will help to prolong the fragrance's strength. Concentrated fragrance oils are particularly good for gel candle making since they will not cause the gel to turn cloudy or separate. Don't overstock. Concentrated fragrance oils last a long time, therefore you require much less of this type of oil than diluted oils. Always refer to the manufacturer's instructions before use. Not all oils are the same and it is important to check for any special instructions before proceeding. In addition to candles, the oils can be used in other ways around the home. This is a great way to help build a single fragrance that scents your entire home, rather than having a patchwork of different scents throughout the house. Fragrance and scented oils can be used to refresh potpourri or wardrobe sachets. The oils are also perfect for use in diffusers or scented oil lamps (although check with the manufacturer of both before proceeding). A drop or two can be added to your laundry, or mixed with water and sprayed onto towels and sheets. Highly concentrated fragrance oils can add a touch of exotic lands or the scents of summer's day to your home. Try your hand at mixing a personal fragrance that's completely new, and enchant your family and guests every day.